Hey kids, put that in your Koloro Wagon! They might be little, but toddlers have a lot of stuff. Stuff that they like to haul from room to room. When he was three, my son liked to get around with a haul that included several Thomas trains, pieces of track, a couple of favourite books and a plastic toolbox. Initially it was piled haphazardly into a doll’s pram but when the ‘stuff’ became too much, he used an empty block cart. Had it been around when he was three, the Koloro Wagon would have been my son’s very favourite thing. 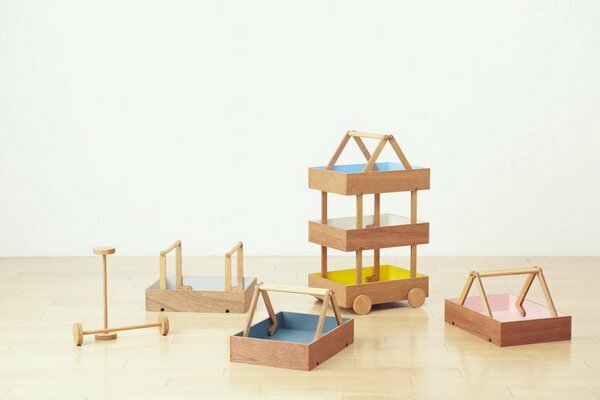 Designed by Torafu Architects for furniture manufacturer, Ichiro, the Koloro Wagon is a mobile piece of furniture that allows kids to store all their bits and pieces in one place. 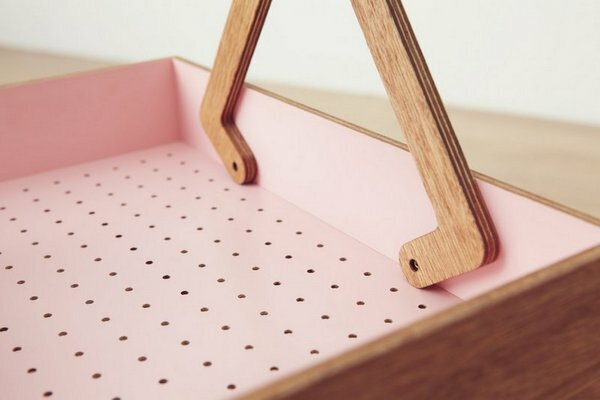 Wheels on the wagon and the removable stacking shelves create truly mobile storage and I can’t help but admire the beautifully crafted basket-like shelves lined with pops of colour. 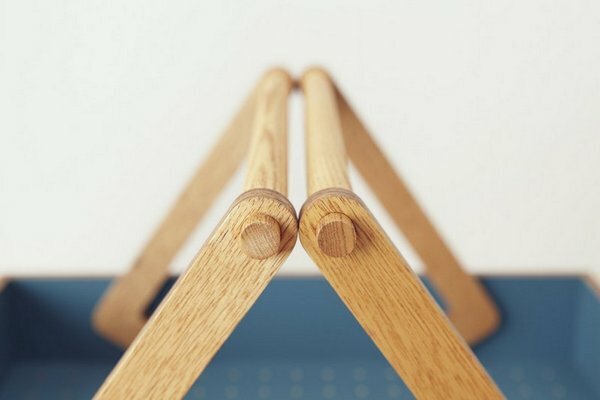 A limited range of Torafu Architects pieces are available in Australia at Mr Kitly. Inquire about the Koloro Wagon directly through Ichiro.